We have included an export of the preview site as an XML that you can use to quickly set up the same site. The export file is at resources/demo.xml. Inside WordPress, go to Tools → Import, click WordPress from the list and follow the steps to install the WordPress Importer plugin. You will end up at a page with a file upload field, choose the file resources/demo.xml from the downloaded package and import it. 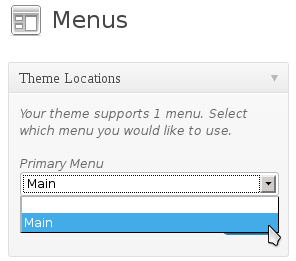 Another step you may need to perform is to set up the WordPress menu. Go to Appearance → Menus and in the top left of the page you will see a box named Theme Locations, select Main from the drop down and click Save.